As Hft supports over 2,500 people with learning disabilities up and down the country, we have plenty of opportunity to pack in a lot of creative and inspired support every year. Our staff use their specialist skills to take advantage of every opportunity to make a positive difference in the lives of the people we support. But with so many stories to choose from, sharing these with supporters can be a challenge! 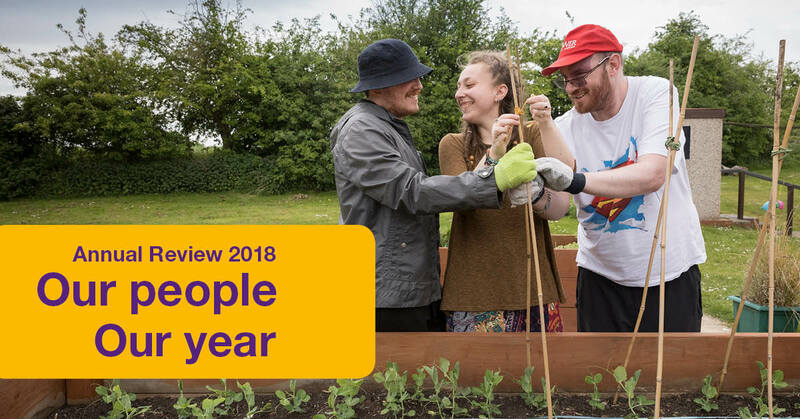 Our Annual Review allows us to creatively share some of the key stories from the past year that demonstrate how Hft staff use our Fusion model to deliver fantastic outcomes for the people we support. Our Annual Report is designed to help people understand more about Hft’s aims and objectives, and what we’re doing to bring about their achievement, with a particular focus on finance. It includes detail on our accounts, including where our money comes from, as well as what it’s spent on. We hope you’ll find these interesting – and that they help show how we work hard to ensure that people with learning disabilities can live the best lives possible. Download a PDF copy of Hft's Annual Review for 2017-2018, which gives a snapshot of the great work that took place across Hft over the last year. Please note, the file size is 2MB.